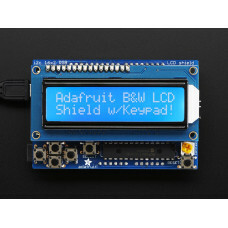 The EL Shield Kit gives you whole solution to use the EL wires. 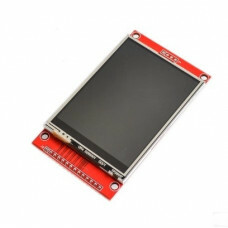 It includes all the necessary modules: 5V Inverter,4 EL wires and EL control Shield to make it possible to control the EL via Arduino. With Arduino, You will be able to control 8 EL devices simultaneously and separately. 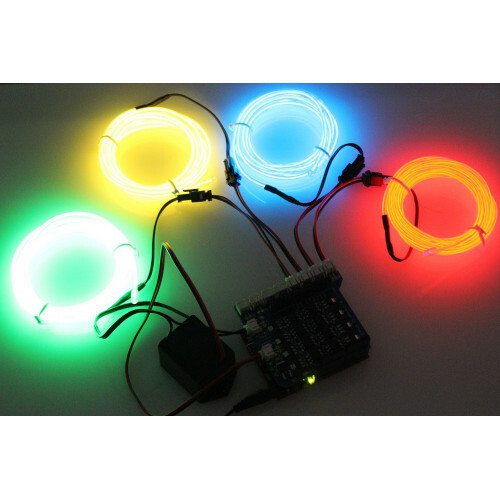 The controlling method is as simple as controlling an LED. 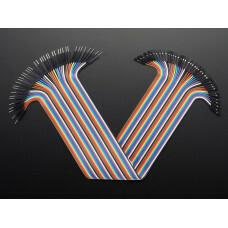 Driven by PWM, it can create a colourful and florid effect by controlling each EL wire according to your own programs. 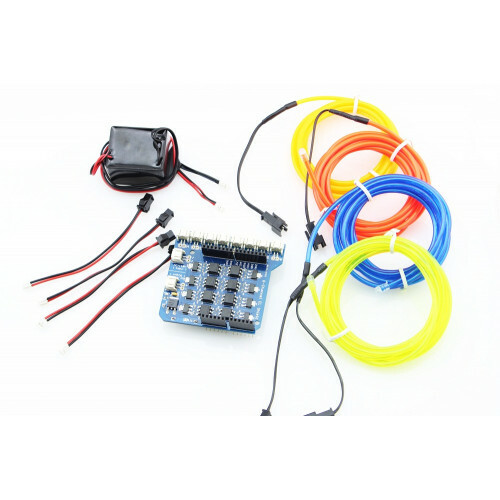 This kit comes with a 5V voltage inverter that can drive EL wire up to 15m simultaneously, 4 pcs of 2m EL wires and 4 EL wire adaptors. 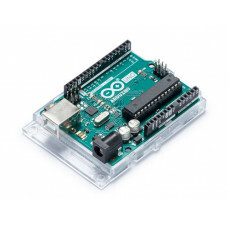 You can immediately start up your EL projects after you receives this kit by insert it onto Arduino. You can also purchase more EL wires and adaptors to implement more EL wires into your project. 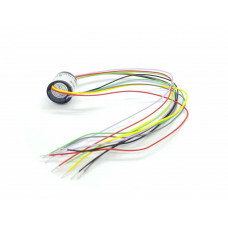 Miniature Slip Ring - 12mm diameter, 6 wires, max 240V @ 2A. With a slip ring assembly, your electro..